Our complimentary concierge service is here to help create the vacation of a lifetime with activities tailored to each guest. Upon your arrival they can provide a lei greeting at the airport and if desired have groceries awaiting you at the villa. They can even set up a photo session on the beach to memorialize your trip. Reach our concierges at Big Island Vacation Services. Our resort's crescent-shaped "A Bay" beach is a 5 minute drive. There you'll find kayaking, diving, paddle boarding and surf lessons. Even novices swim, snorkel and boogie board in Kohala Coast's gentle waves. 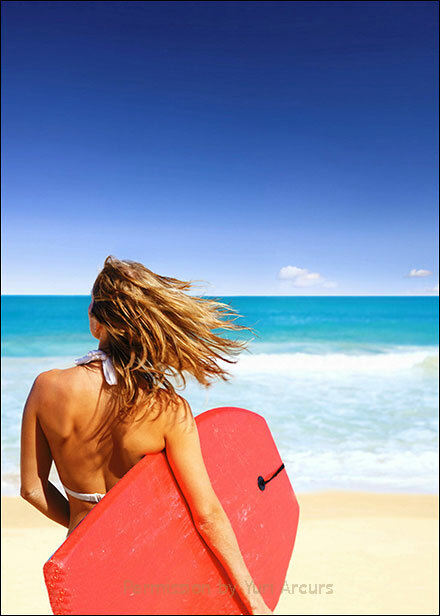 For an easy beach day grab a boogie board, snorkel gear, umbrella or sand toys from our villa or just relax with a book on beach lounge chair and leave your cares behind. On Hawaii's diverse Big Island you will find pristine white, gold, green and black sand beaches. 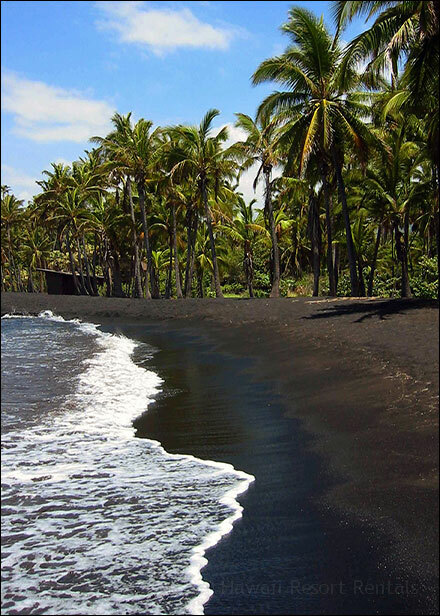 Take a scenic drive to stunning black sand Punalu'u Beach at the island's Southern tip. See favorite Big Island beaches. 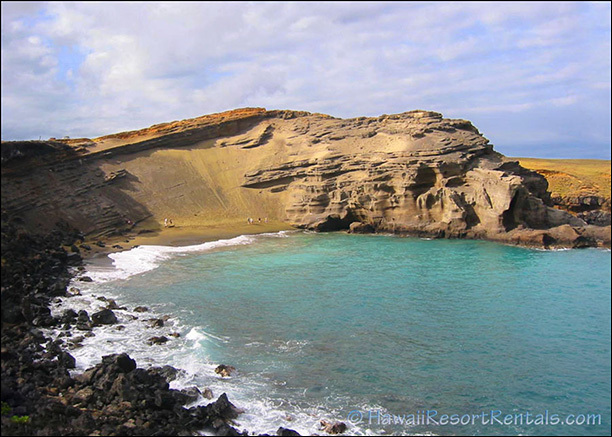 This olivine-crystal-laced beach lies at the Southernmost tip of Hawaii and the US. One of the planet's most stunning beaches, it's worth the hour hike over lava, if you don't have a 4-wheel drive. The beach is accessed by climbing down a rope over lava rocks. Take water and wear sturdy shoes for this adventurous trek. 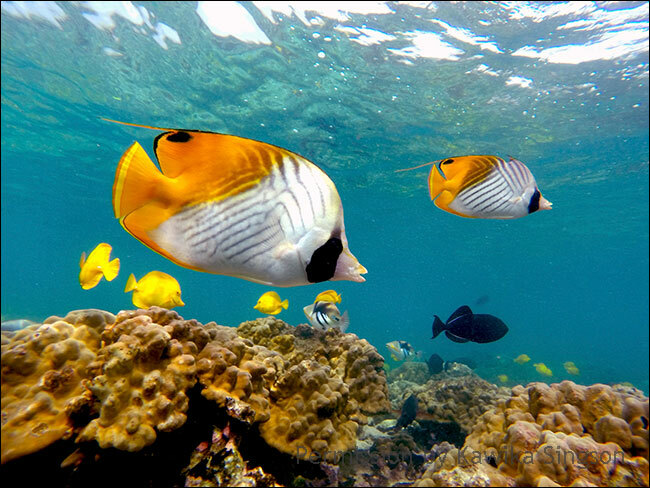 An array of friendly tropical fish and turtles greet you at many great snorkel spots all along the coast. Kona's Kahalu'u Beach Park offers easy snorkeling even for beginners with a lifeguard nearby while you play among the sea life. One snorkeling lesson includes sailing on a catamaran to a black sand beach leaving from A Bay. 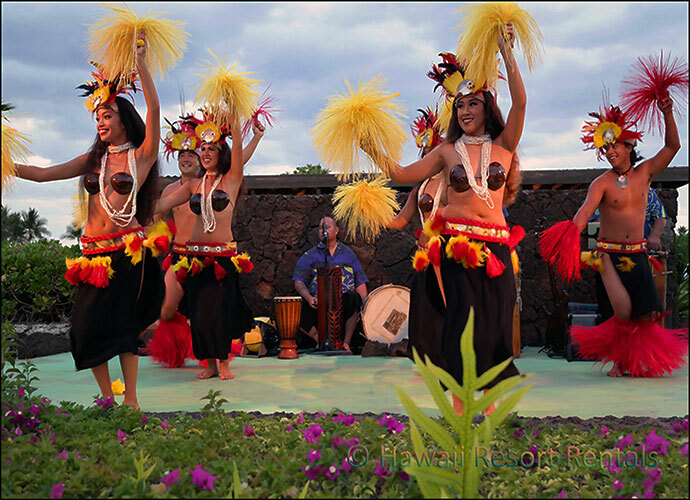 Many rate Island Breeze Luau in Kona on ancient kings' beachfront grounds as the best luau. Dances of war with Hawaiian hula and a daring Samoan knife dance bring history to life. Firenesia Luau features Polynesian fire dancing. From firey Kilauea Volcano to weapons of war entertainers share secrets of Ring of Fire that link the islands. Gathering of Kings Luau at our resort is a fusion of Polynesian dance and "talking story" about Pacific island legends. 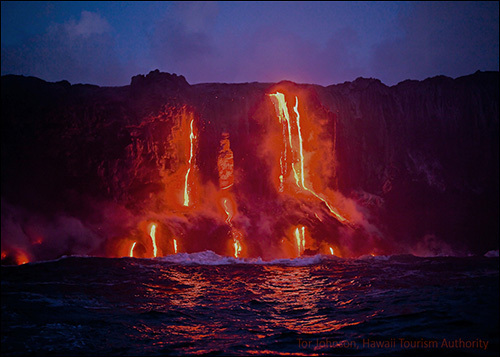 Volcanoes are Hawaii's most dramatic attraction. Kilauea Volcano in Hawaii Volcanoes National Park is the world's largest active volcano with lava oozing into the ocean. The hillside glowing lava is viewed best at night from the end of Chain of Craters Road by car or from the ocean by boat. Helicopter tours provide a view never to be forgotten. See our Current Weather page for more information and a link to today's volcanic activity. 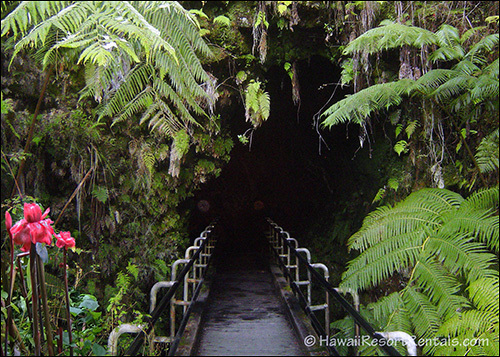 Explore steaming lava craters and underground lava tubes. At the volcano hike through ancient rain forests, over a still steaming lava crater and into lava tube caves. Take jackets, hats, sturdy shoes and flashlights. The Visitor Center & Jagger Museum offer interesting exhibits, docent tours, books and maps. 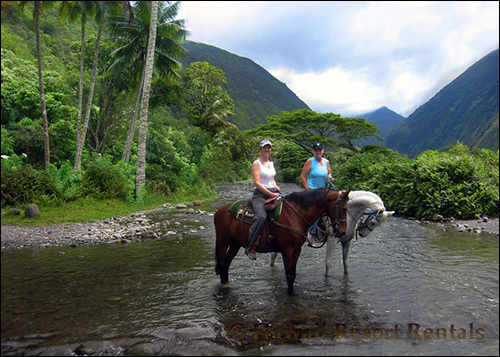 Tour mystical Waipi'o Valley by horseback along jungle trails with lush flowers, towering palms, fresh water streams, taro fields and incredible 1000 foot waterfalls that ring Waipi'o Valley. 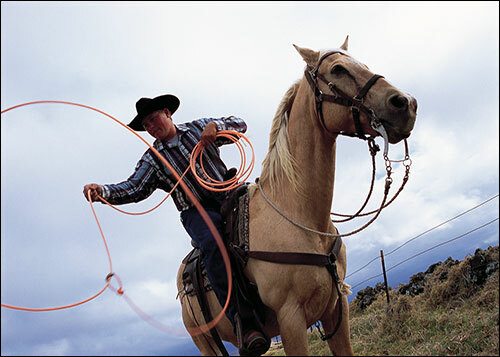 At 175,000 acre Parker Cattle Ranch surrounding Waimea you'll find friendly panilolos, Hawaiian cowboys, tours, a museum & Parker Ranch Grill. For fantastic grilling steaks look for Ranchers Renaissance & Country Natural Beef at local markets. Take a champagne sunset sail, jump aboard an Atlantis Submarine or cruise through warm waters on Waikoloa's glass bottom boat. See pods of majestic Humpbacks on whale-watching sails leaving from A Bay December to April. Use our binoculars for a great view. 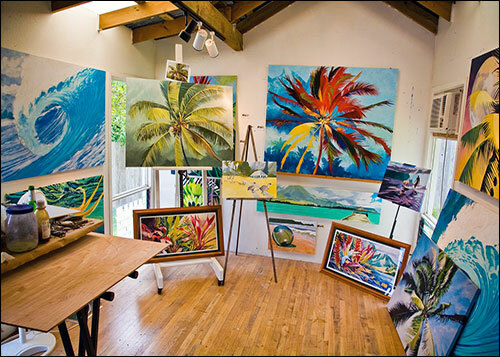 Head north to Hawi, an artists' community at the island's north tip near Polulu's black sand beach or follow the coast south to visit old sugar plantation towns with charming shops and tour Macadamia nut or coffee farms. Learn how coffee is grown and roasted and sample fresh Kona coffees at Greenwell Farms, Hawaii's largest Kona coffee farm dating to the 1800s. 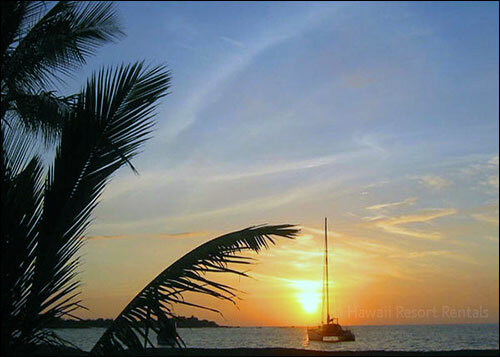 Experience the spiritual energy of what many Hawaiians say is the most sacred place on the islands. 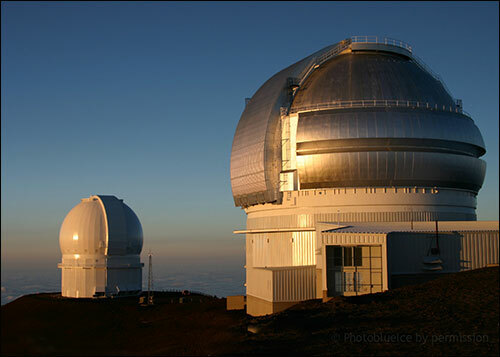 Stand in awe of both nature and man's astonishing technology on Mauna Kea's summit. 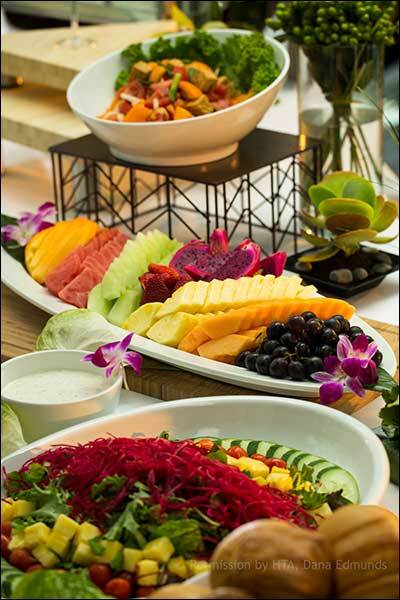 Go on your own or join a tour for dinner at Parker Ranch and exciting Mauna Kea star-gazing. This ancient Place of Refuge is an important historical site 46 miles down the coast. 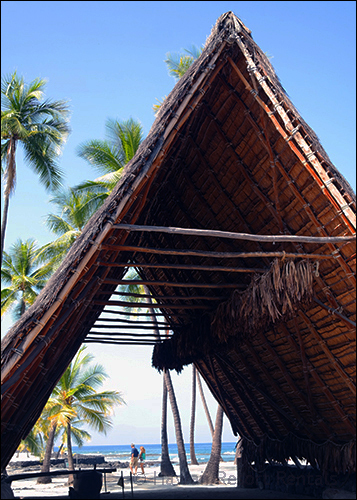 In this restored complex of temple buildings, Hawaiians who broke a kapu, ancient law would seek forgiveness and refuge from certain death. 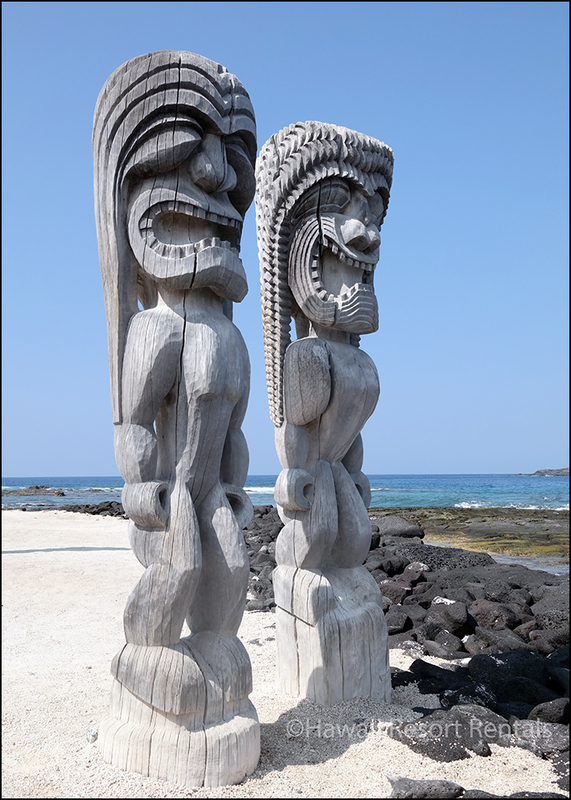 You'll encounter fierce tikis, early Hawaiian arts and may see craftsmen building traditional canoes. Sightseeing includes Captain Cook's Monument in beautiful Kealakekua Bay, an area popular with dolphins, sea turtles, tropical fish and snorkelers. Overlooking this bay is St Benedict's Painted Church, a little country gem with Sistine Chapel aspirations. 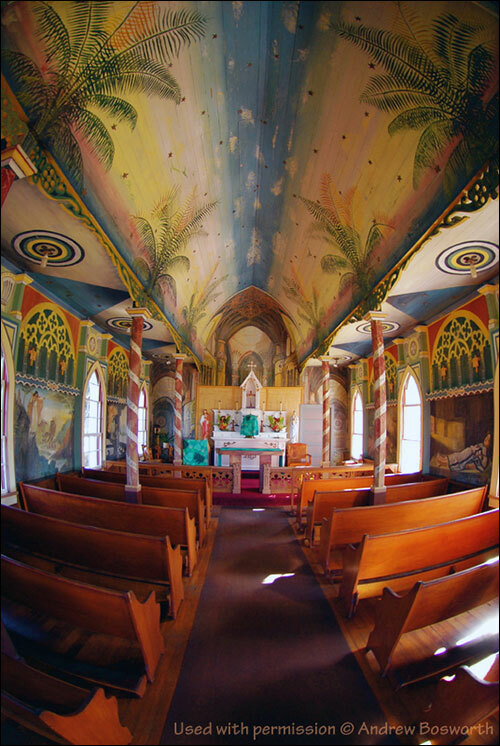 From 1899 to 1904 Father John Berchmans Velghe, a self-taught artist, painted biblical scenes in loving detail. This was important in a time when many people did not read. 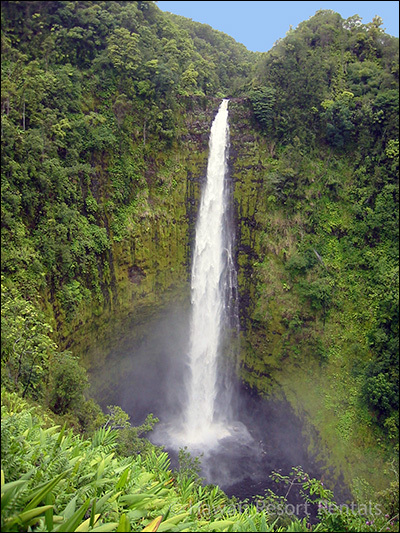 Akaka Falls is a stunning 420 foot waterfall, a hilly hike through a tropical jungle a mile off road. Also near Hilo is easily accessible Rainbow Falls, most spectacular in early morning when rainbows gather about the cascade as it tumbles into its plunge pool. Helicopter tours lifting off from nearby Waikoloa Helipad offer amazing island vistas of hidden waterfalls and active Kilauea Volcano. 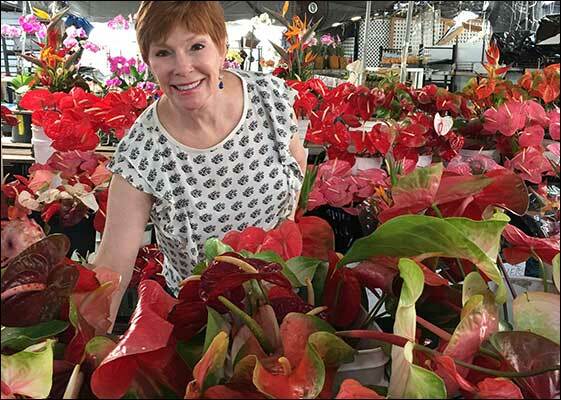 Pick up island papayas, pineapple, guava, inexpensive tropical flowers and unique souvenirs at many farmers' markets on the island including one in the resort's Kings' Shops and Kona Farmers Market on Tuesday through Sunday. 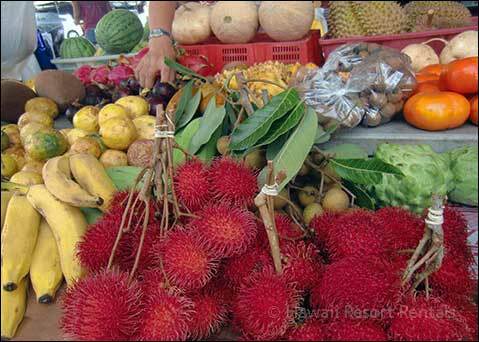 See all Big Island Farmers' Market schedules. At historical Hulihee Palace you may catch a free oceanfront concert with authentic Hawaiian dancing. 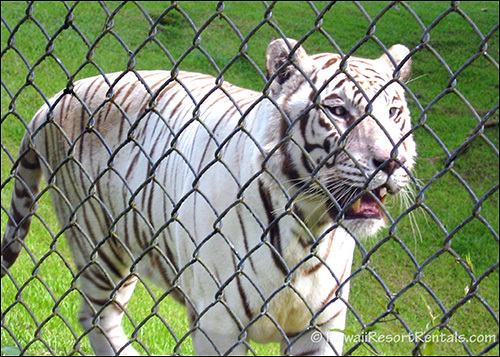 Children will enjoy the Pana'ewa Rain Forest Zoo featuring a rare white tiger. One popular exhibit has a wire mesh people walkway going through it with lots of animals roaming around and overhead. The world's only zoo in a tropical rain forest, it is small with no admission fees. Hawaii Botanical Garden is one of the most beautiful tropical rainforest botanical gardens you will find anywhere. 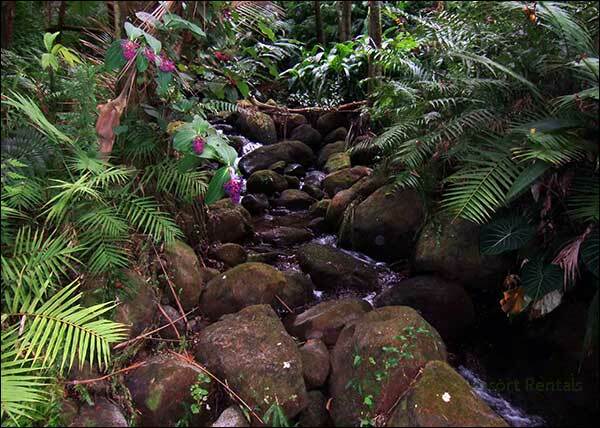 On the ocean in Hilo, it is a hike through a gardener's wonderland. 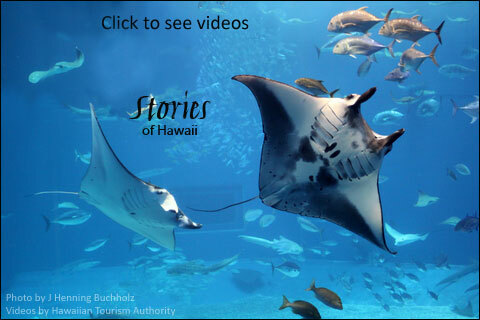 Our concierges at Big Island Vacation Services will assist you to tailor activities for your interests and budget, including these and many more - just ask! Please send us feedback on your favorite activities, as we continually update our list. Activities and links are not guaranteed by Hawaii Resort Rentals.